Bouquet of pink roses, white lisianthus & green viburnum presented in a designer vase. Modern and elegant Valentine’s Day gift, Birthday flowers or Anniversary flower bouquet just a click, tap or call away. 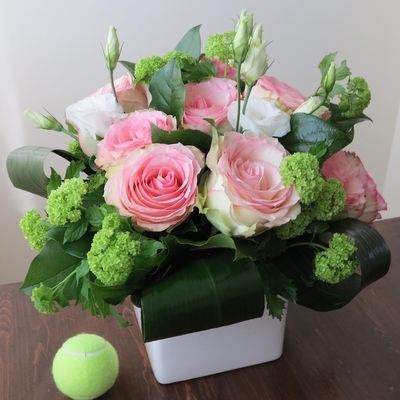 Flower delivery to downtown Toronto and GTA. Enjoy mobile and online shopping at hip Toronto florist. If you need any assistance please do not hesitate to contact us at our local flower shop. 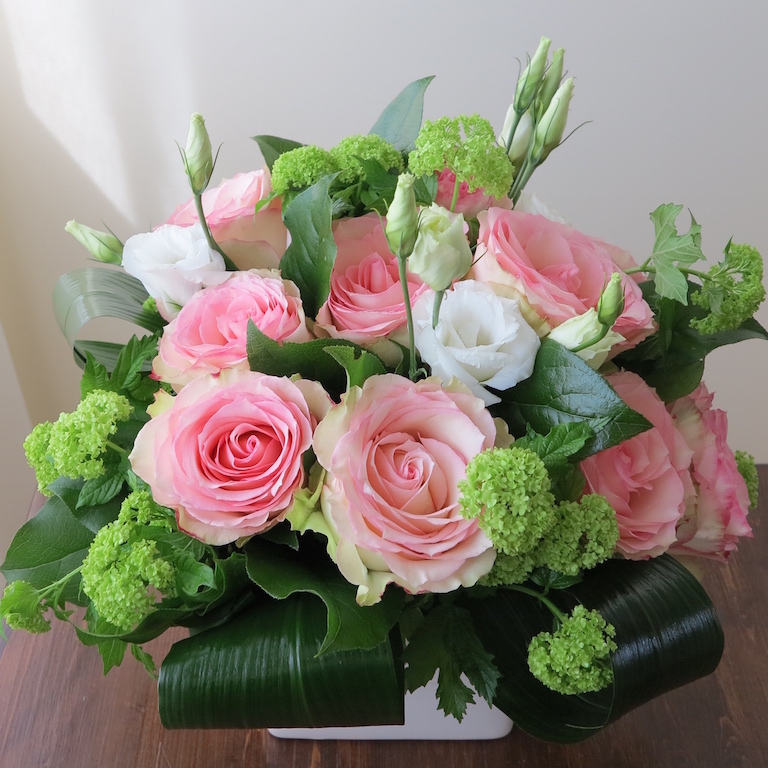 Flowers used: pink roses, white lisianthus & green viburnum.